Many ZX Spectrum enthusiasts would like to be able to experiment a bit with I/O connected to their computer. This is your opportunity of doing just that! All signals of the ZX Spectrum edge connector are available for you to wire to your own selection of parts to put on the breadboard (400 pins). On the board all signals that are available at the female pin headers, are printed in clear white text. 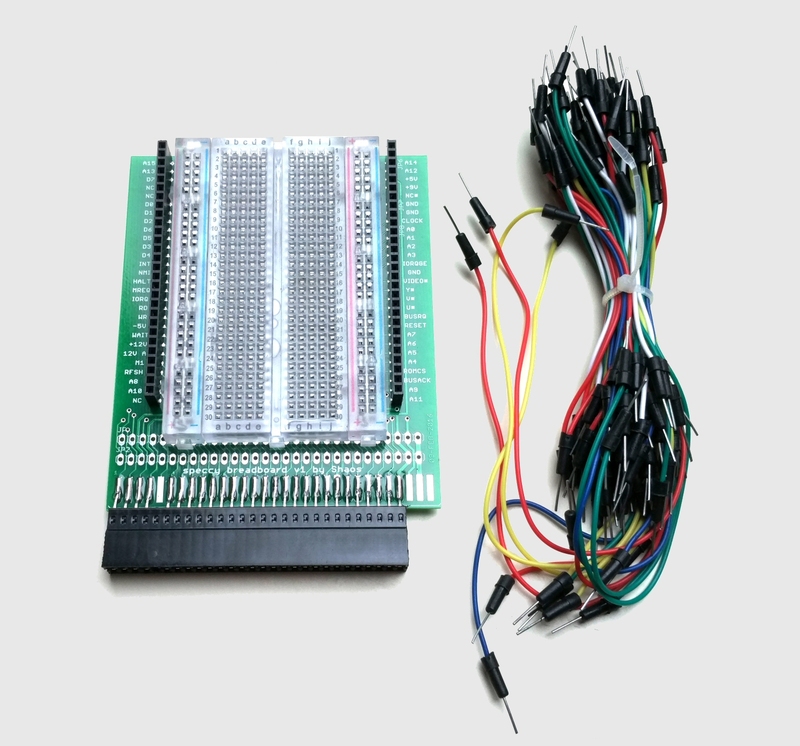 In the near future ByteDelight will offer some additional cool and fun easy project kits to interface to the ZX Spectrum, specially designed for this breadboard kit. USING THIS KIT IS AT YOUR OWN RISK! It’s very easy to damage the ZX Spectrum by making a mistake with the wiring.